Most business books focus on beating the competition. 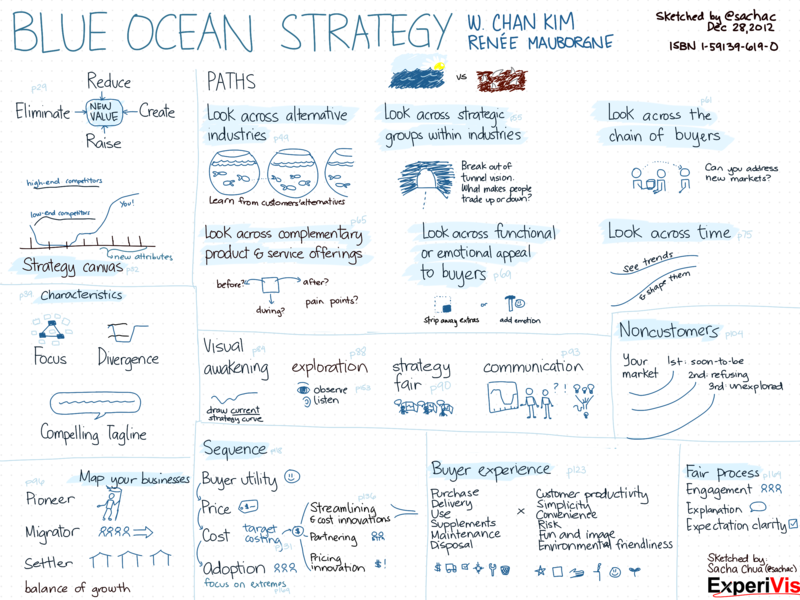 Blue Ocean Strategy (Harvard Business School Press, 2005) focuses on breaking out of red oceans of competition, creating new markets instead. Here are some ways to find alternative markets: alternative industries, strategic groups, buyers, complementary product and service offerings, functional/emotional appeal, time. Feel free to share this! You can credit it as (c) 2012 Sacha Chua under the Creative Commons Attribution 2.5 Canadalicence. 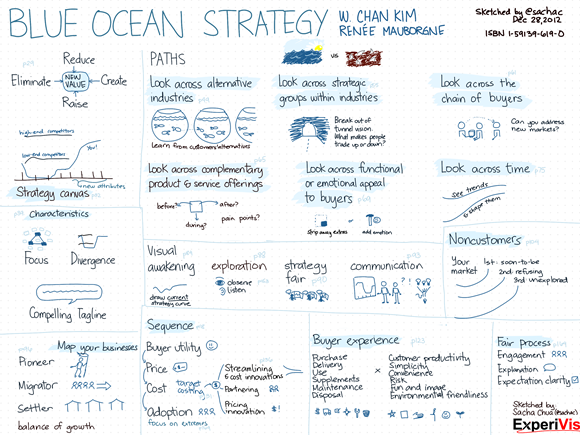 Blue Ocean Strategy is a good book for established companies that are finding it challenging to differentiate themselves, but it’s also a good read for companies that are starting out and who are looking for their unique selling propositions (USPs). I’m going to go over different business ideas, sketch red ocean / blue ocean strategies for each, and see about talking to lots of people in order to help validate the sketches. Looking forward to it!